Oshima, belongs to Shimanami Kaido Route, has sweet and rich taste sea urchin egg grown in Miyakubo. 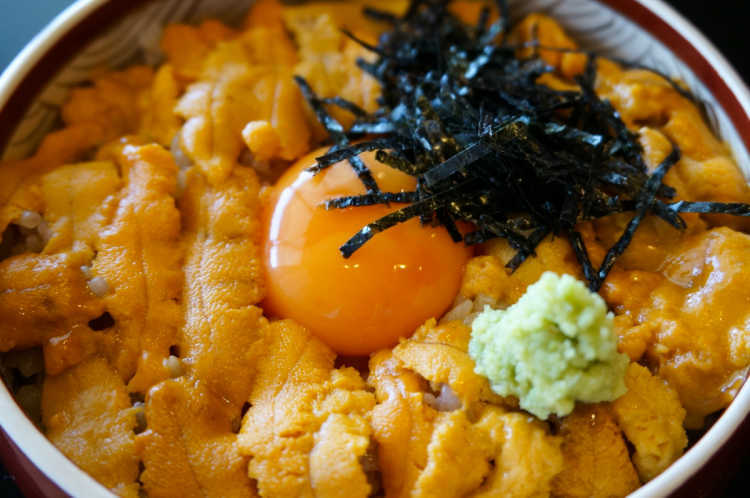 Kita Zushi offers prime 'Uni Don (Sea Urchin Egg On Rice)' with sea urchin egg laid on rice without stinginess. It's delicious enough as it is, but more delicious with mixed yolk!◎Uni Meshi 2200yen. For the enough amount of sea urchin egg, it doesn't cost much. And this restaurant commands nice sea view, although with a little graves. 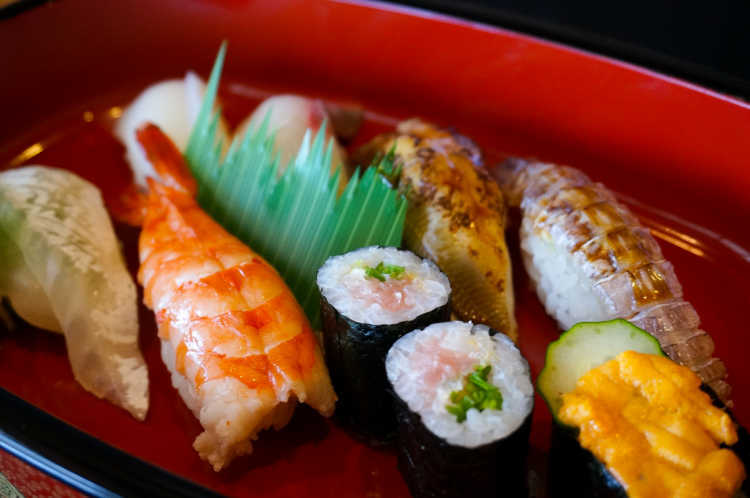 Sushi restaurant 'Kita-zushi' offers you the prime and especially big seafood of Setouchi. The taste and freshness are great of course, what's more, it's so big that women can't eat it in one mouthful. Even more, it is great value for money. A recommendable restaurant in Oshima Island.◎The toughness of rice is ordinally, freshness is great and seafood in big. 'Special (Jo) Nigiri 1500yen' 'Prime (Tokujo) Nigiri 2200yen'. The restaurant is spacious and has some single rooms.